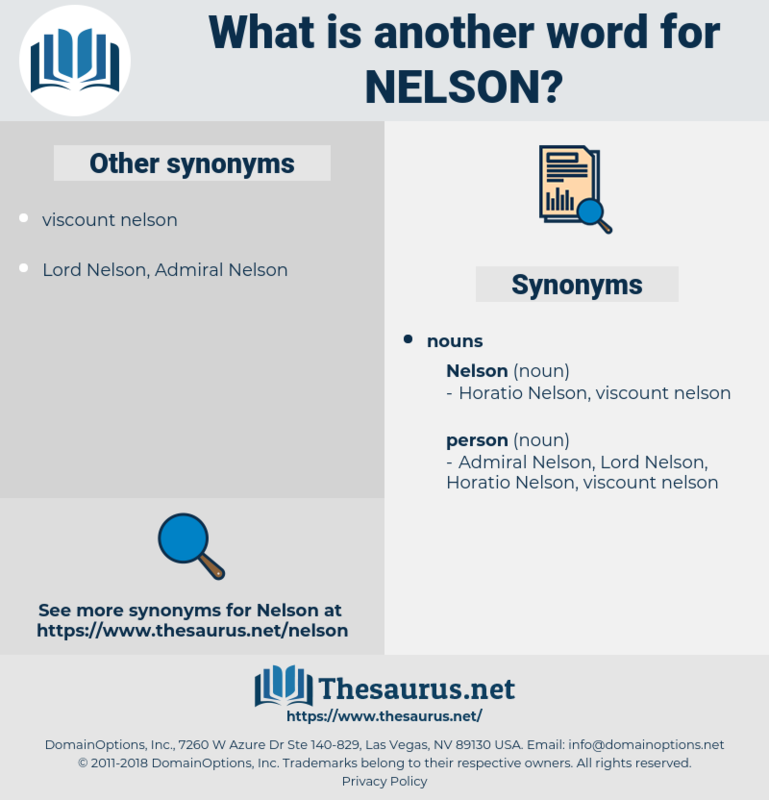 What is another word for nelson? Aloud she said: I can't imagine how Nelson and Ellie can ever want to see each other again. Then and later, as Nelson admitted when he was fighting Spain, the Spanish ships were better built than the British. 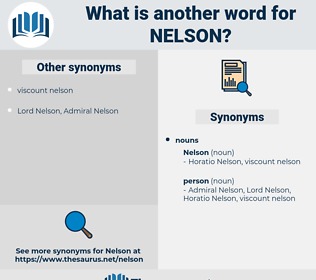 neologism, nominalism, Nell Gwynne, Neil Simon, Nell Gywn, nielson, Nell Gwynn, Nelsen, nilsson, naloxone, nihilism.